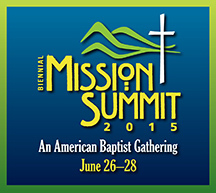 ABC’s Biennial Mission Summit will be returning to Overland Park…June 26-28, 2015. We want to see you there! Join us in fabulous Kansas City for the celebration – bigger, better than 2013!!! Additional events occur before and after the official Mission Summit dates.